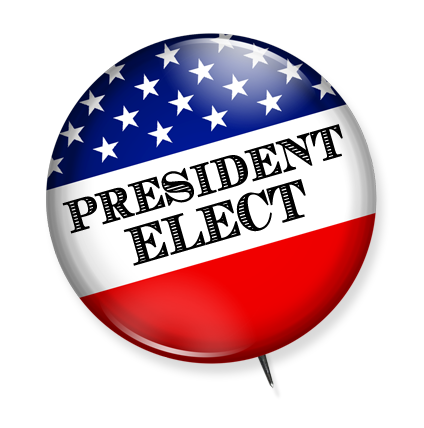 WELCOME TO PRESIDENT ELECT, the homepage for information on the election of U.S. Presidents and the electoral college. You'll find election results, history, electoral college debate, and much more! Start typing an election year or choose one from the pulldown menu on the left to see results from that year. Most election pages have been updated, however, some still need some work! Have a question about current, past, or future elections? As always I am here to answer any questions you have about presidential elections and the Electoral College so feel free to mail those (but check the FAQ page first as I usually will not answer emails that ask questions that are already listed there). This website is provided for informational and educational purposes; every effort is made to make sure it is accurate. President Elect prides itself on being objective and nonpartisan. If you have additional information which I'm missing or you can correct any errors please feel free to contact me. How can you help out? I love answering your Frequently Asked Questions! And I'm always accepting Article submissions. Articles should be related to presidential elections, analysis, the electoral college, relevant Constitution issues, election law, winning and losing presidential / vice presidential candidates, etc. The site will not accept articles that are politically biased or are deemed not relevant. For more info, check out the submission guidelines.